Personally, I think Sari's response if she was told her mom was dating Anthony, or any guy, would be, "Yay! Mom's got a boyfriend!" 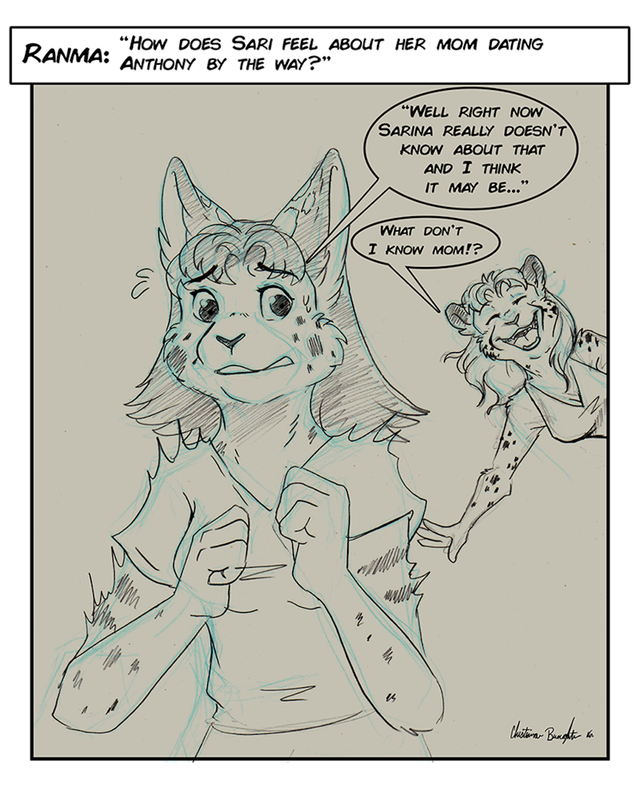 I think her happiness that her mom is getting some affection would outweigh any concerns that the boy in question is young enough to be Sari's sibling. Sarina just doesn't strike me as being able to think of any kind of voluntary affectionate contact as being a bad thing.